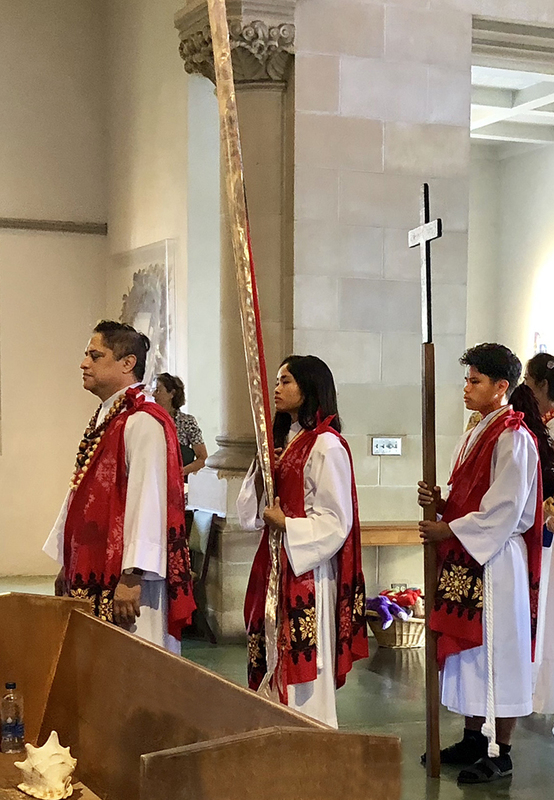 Beautiful Christian worship services in keeping with Anglican Cathedral Tradition and the Book of Common Prayer with a distinctly Hawaiian flavor. 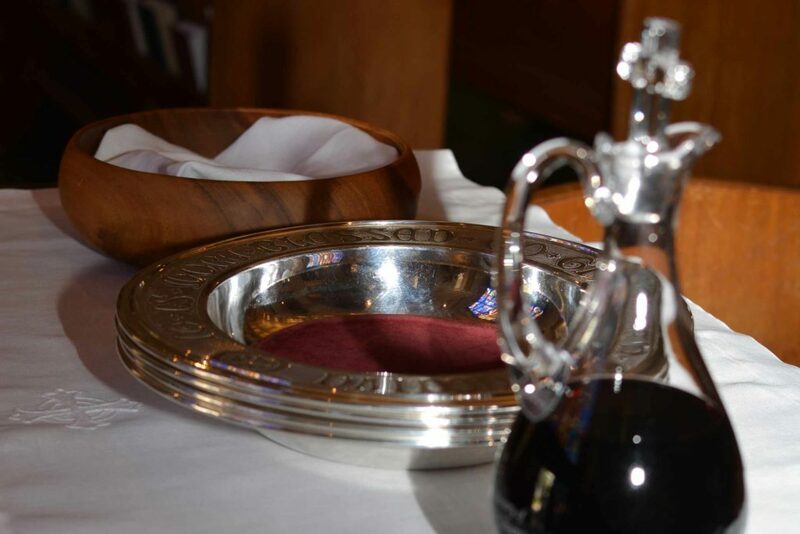 Also see upcoming special services and holy days, and calendar of events and activities. A traditional Rite I service, quiet and reflective, preceded by an organ prelude but without hymns or other music. 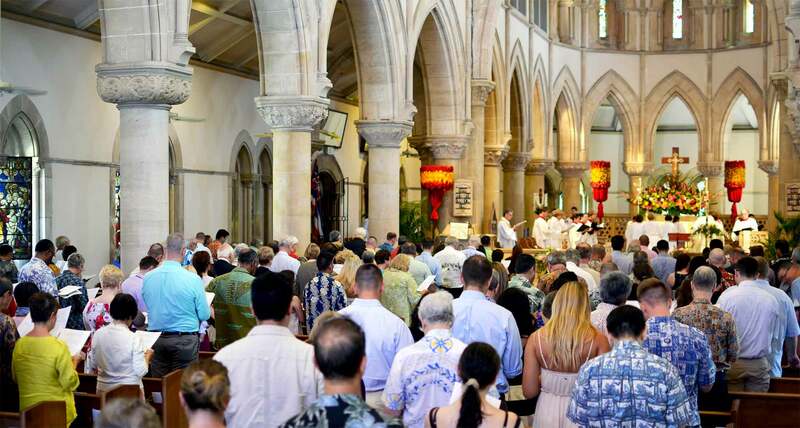 A Rite II service incorporating Hawaiian language prayers, hymns, and scripture, with the sermon in English. The liturgy is mostly celebrated in the Hawaiian language. The Psalm and Epistle are chanted in Hawaiian by a member of the congregation. The Hawaiian choir supports the congregation in the singing of the hymns and offers an anthem in Hawaiian. For the Feast Days and birthdays of the Monarchs, the Hawaiian Societies are especially invited to attend. A traditional Anglican choral service. The Cathedral Choir offers leadership to the congregation in the singing of hymns and service music as well as offering two anthems from ages past to present day compositions.